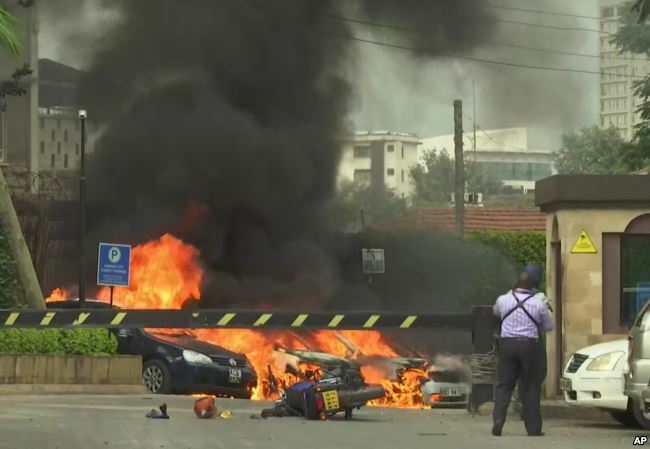 Explosions and gunfire have rocked an upscale hotel and office complex in Nairobi, in what witnesses are calling a terrorist attack. There has been no immediate word on casualties from Tuesday’s attack at the Dusit D2 Hotel. Somalia-based militant group al-Shabab has claimed responsibility through an affiliated website, according to VOA’s Somali service. Live video, provided by the Associated Press, showed vehicles burning outside the hotel and scores of people being escorted from the premises. 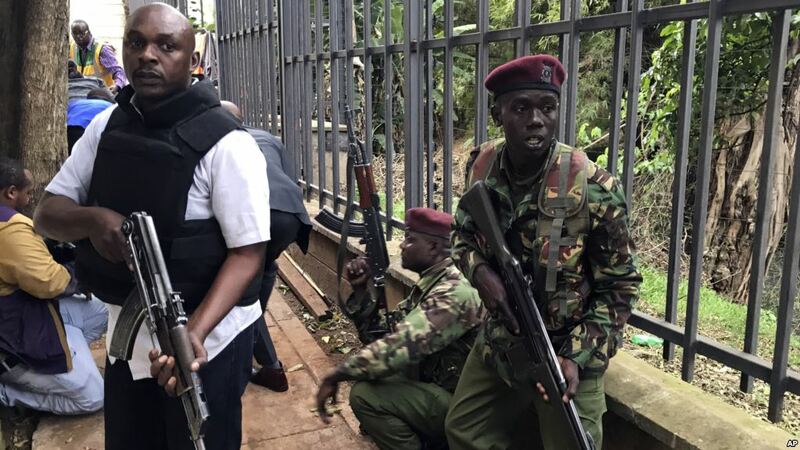 Soldiers carrying rifles were seen entering the complex, located on Nairobi’s Riverside Drive. Workers who escaped the buildings reported hearing lots of gunfire, and said colleagues had huddled in offices and under desks for safety. The attack comes one day after a Nairobi court said three suspects accused of aiding the 2013 attack on Nairobi’s Westgate Mall were ready to be put on trial. 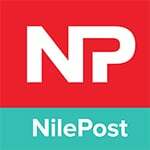 That attack, which killed at least 67 people, was carried out by al-Shabab.